At The Groundcare Centre we are dedicated to providing our customers with the best service and a range of useful, quality products. This is why we offer a wide choice of garden power tools and essential accessories and equipment not covered in our main departments. 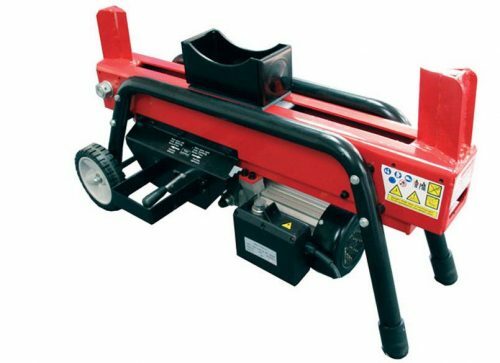 So if you are looking for leaf clearance equipment like a top of the range leaf blower or vac, need to sort out your borders & overgrowth with a quality edger or are looking for outdoor power tools, maybe a log splitter to make firewood, a pruner for your trees, even an aerator, scarifier, a trowel a fork or a wheelbarrow – take a look at our huge range. They are all from well known names and brands you can trust and every single one, without exception, is eligible for FREE delivery to anywhere in the UK mainland. The Rattle Wedge is a patented tool developed by tree climbers for tree climbers, and this to improve safety and working conditions when disassembling trees. Previously, the tree specialist had to maneuver in difficult positions or rely on the help of employees on the ground to drop pieces of stem in the right direction. Now the tree climber can easily handle large pieces of trunk. You must have seen it to believe it! The Rattle Wedge, made of lightweight aluminum, weighs just 1.4 kg and can easily be taken into the tree. The Rattle Wedge is also an important tool for the chainsaw. In the circumstances where the saw blade threatens to get stuck, it is easy to turn the ratchet wedge into the saw cut, so that there is no pressure on the blade. If the cut is full and there is maximum pressure on the wedge, you can simply unscrew it again. The Rattle Wedge will no doubt become basic equipment for every professional tree climber within a short time! 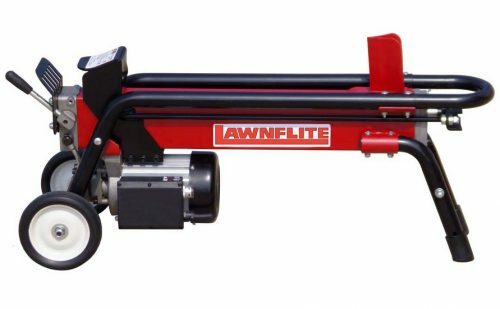 The Lawnflite LS52200EH electric log splitter is a new powerful machine that will split logs up to 52cm in length and 25cm in diameter. It is powered by a 2000 watt motor which produces five tons of splitting force. The Lawnflite LS52200EH is fitted with transport wheels and operated by a two-handed control system to ensure safe working practice. It comes complete with a stand for which will give a comfortable working height at waist level. This new model also features guarding to meet the latest health and safety regulations. The Lawnflite LS72300EH electric log splitter is a new powerful machine that will split logs up to 52cm in length and 25cm in diameter. It is powered by a 2000 watt motor which produces seven tons of splitting force. The Lawnflite LS72300EH is fitted with transport wheels and operated by a two-handed control system to ensure safe working practice. It comes complete with a stand for which will give a comfortable working height at waist level. This new model also features guarding to meet the latest health and safety regulations. If you have logs to burn over the winter and want to take all the hard work out of splitting up your wood into smaller pieces suitable for the Aga or hearth, then the Lawnflite LS2200 is a simple to use and highly effective tool for automating this task. Exerting a massive seven-tons of pressure, the Lawnflite LS2200 will split logs cleanly and efficiently with the minimum of hassle: simply place the subject-log on the central cradle, flick and a lever and the job's done! No more backbreaking and time-consuming drudgery with a hand-axe – with the Lawnflite LS2200 you can prepare your logs in bulk and have them ready for when the frost bites! Splitting logs for firewood is twice as fast with the Lawnflite LS2000 DUO two-way log splitter, as well as being much easier and safer to use than a traditional axe. 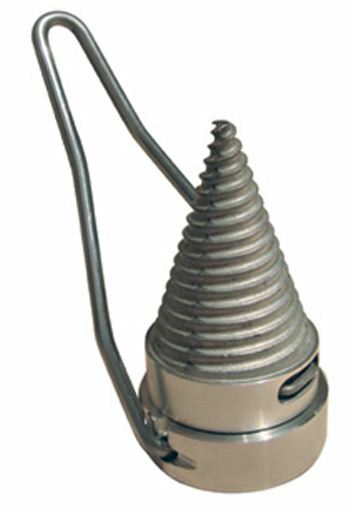 The unique patented design features dual splitting wedges at each end of the unit. With a massive splitting force of 7 tonnes, the Lawnflite LS2000 DUO will make light work of splitting logs up to 10"/25cm in diameter and up to 15"/38cm in length. 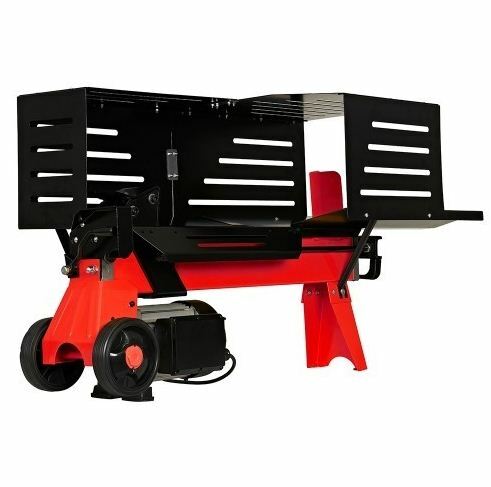 It is powered by a reliable 2000 watt electric motor and uses a hydraulic ram to push the logs against the purpose-designed splitting wedges. Featuring a robust frame and equipped with wheels to ensure ease of transportation, this electric log splitter has a "two-handed" operation system for maximum operator safety. The Lawnflite LS83000EV vertical log splitter is powered by a maintenance-free 3000W 230v/50Hz electric motor for reliable and quiet operation, ideal for domestic users who need to cut large logs down to a manageable size for use in stoves, wood burners or open fires. It produces seven tonnes of splitting pressure which can split logs up to 30cm (12") in diameter and 300cm (118") in length. 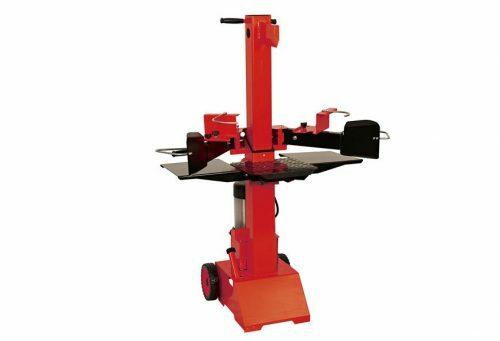 Suitable for seasoned softwood and hardwood, the log splitter will eliminate the back, arm and neck strain caused by chopping wood with an axe. A portable machine which is built with two large wheels and a built-in handle, the Lawnflite LS83000EV features two-hand operation which ensures hands and arms are kept away from the splitting mechanism for increased safety.